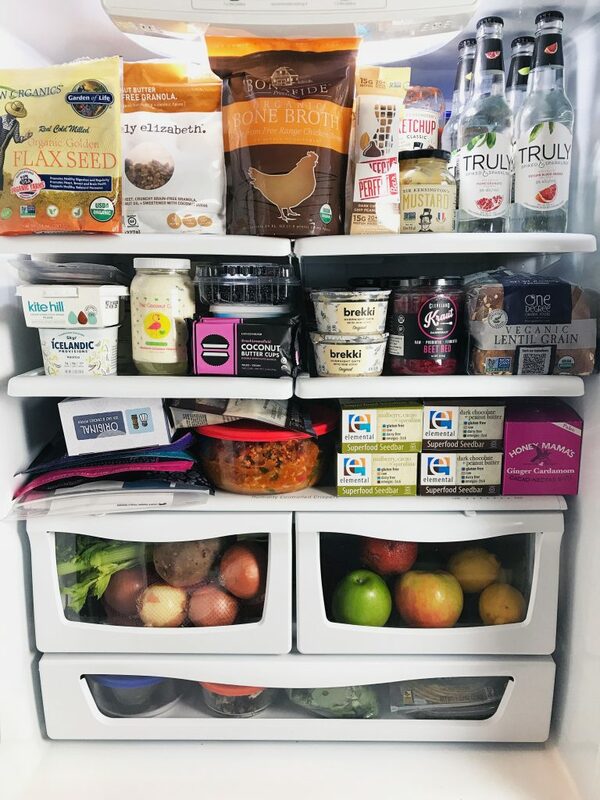 Fridge space is sacred around here. Our refrigerator is packed to the brim at all times. 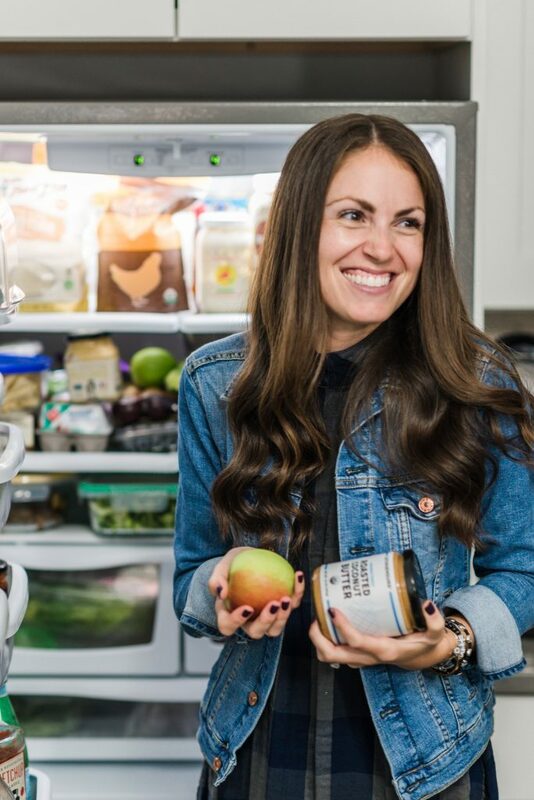 I am one of those weirdos who actually get anxiety when there isn’t enough food on hand (especially when it’s one of my favorite products). I am also one of those odd ones who keeps everything in the fridge. Even things that aren’t supposed to be in there, I add (like granolas for extra crunchiness). 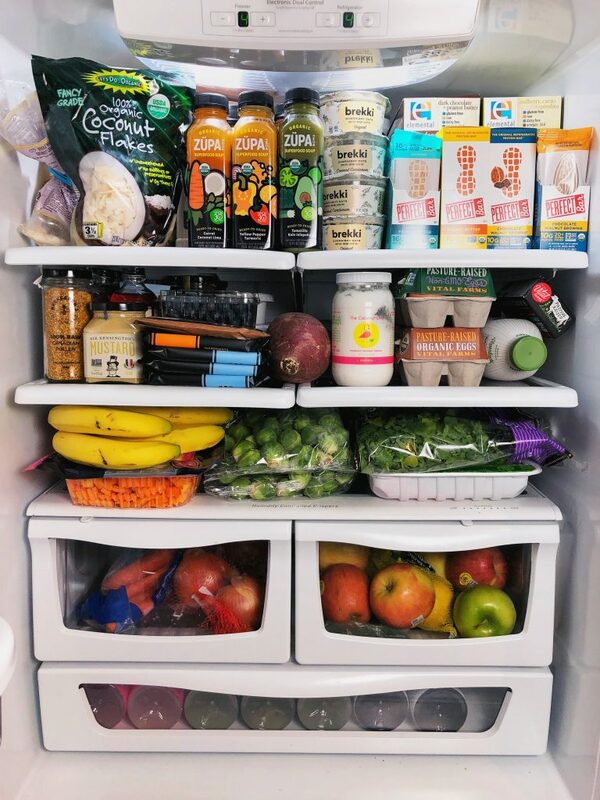 I don’t organize our fridge in any special way. And it is by no means even that organized. It is REAL and what works for us. I know there are some people who say to store meat on bottom, veggies on top, or whatever it is supposed to be. I personally get overwhelmed following that and focus on fitting everything where it makes sense to me, and of course where it fits best to maximize space. Today I am walking you guys through my absolute staples in our fridge. What we have on hand 99% of the time and staples that I cannot live without. A question I get most often is “where do you grocery shop?”. It is a mix of online ordering and grocery stores (nothing fancy!). I find Trader Joe’s has great prices and good veggies but their apple selection stinks! I like Whole Foods for my apples and anything else I cannot find at Trader Joe’s. I also go to a small grocery store in Hoboken called Basic Foods, which has amazing prices. Let’s do this. Let me know if you have any questions and HAPPY EATING! Spindrift (find it at Whole Foods, Trader Joe’s, many retailers!) my favorite sparkling water sweetened with REAL fruit! ZÜPA NOMA soups and shots (you can find this in Whole Foods or order online, code RACHL for 15% off). i use them as a snack or with my cooking and the shots are amazinn extra boost! Such an excellent, extensive list! Thank you for sharing! Oh my gosh totally agree about the Trader Joe’s Apple selection!! And I’m in Denver so it’s not just a NJ thing! !